On the morning of the 2018 Montserrat Calypso Monarch finals, Garnett “Sylk” Thompson’s voice was missing. He woke up hoarse, with a “bad cold” – a condition that doesn’t bode well for a performer whose rendition is central to his success. But his mom came to the rescue. She boiled a concoction of garlic, ginger and honey, and by the evening Sylk’s voice was silky again. Just in time for the show. First-runner up was Edwin “Red Ride” Martin, who returned to the arena for the first time since 2009. He sang “Paging Dr. Sammy” and “My Calypso.” Davon “Rakatang” Williams was second runner-up. Kenneth “Rabo” Silcott, vying to defend his crown, finished fourth, followed by Steve “Iceman” Weekes, Kelvin “Tabu” Duberry, Maxcine Lee – the only female in the finals – Herman “Cupid” Francis, Stevel “Mighty Soca” Rodney and Baptiste Wallace. 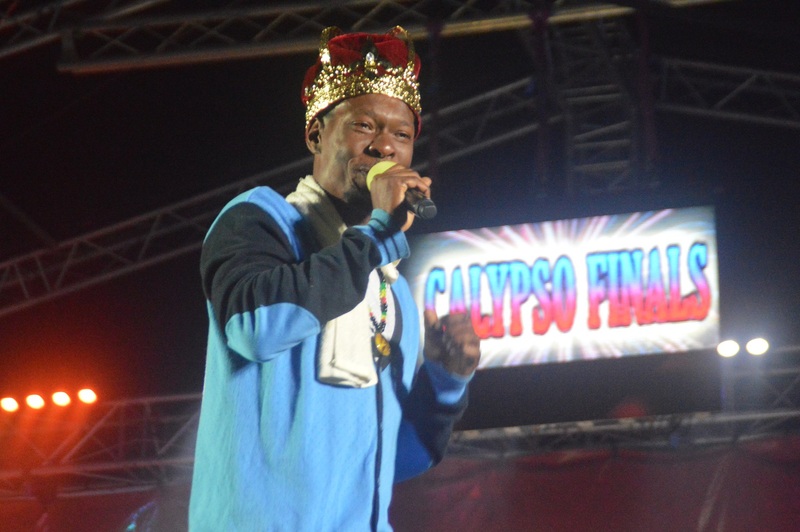 Sylk, who finished first-runner up to Rabo in 2017, won his first calypso title in 2011 with “Changing World” and “Never Give Up.” He first reached the calypso finals in 2001 as a 16-year-old. 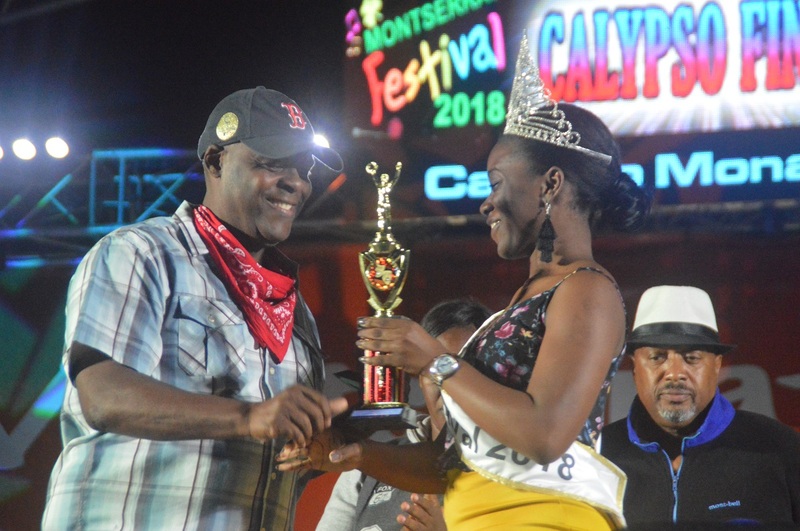 Red Ride receives his trophy for best social commentary from new Miss Montserrat Vanice Tuitt.